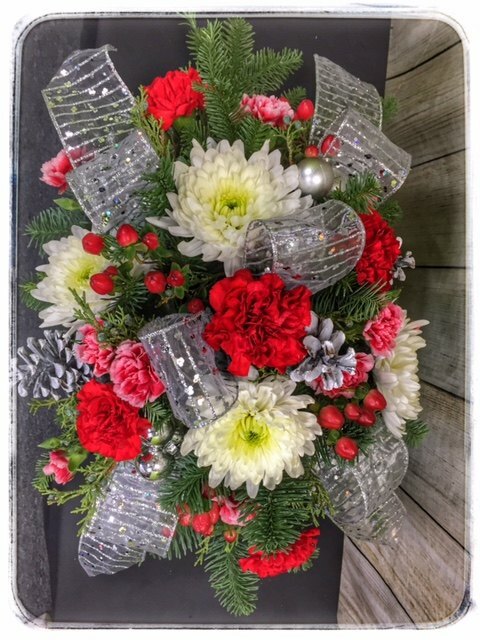 Your wish for a Classic Christmas Centerpiece has come true with this one-of-a-kind arrangement from Petals! 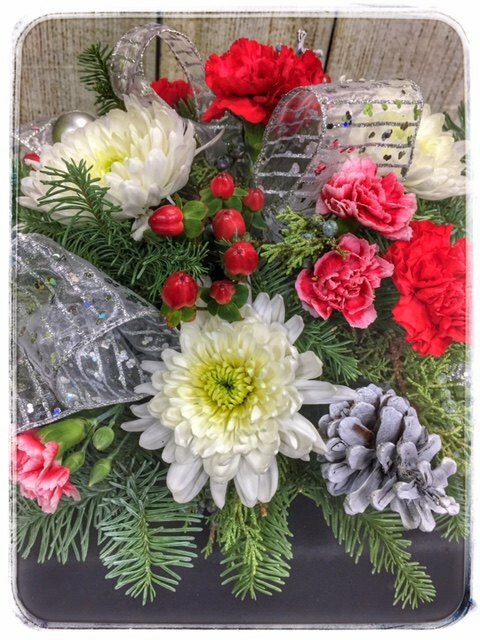 Candy cane carnations dance among seasonal fresh-cut lowers and mixed little jingle bell ornaments with festive greens. 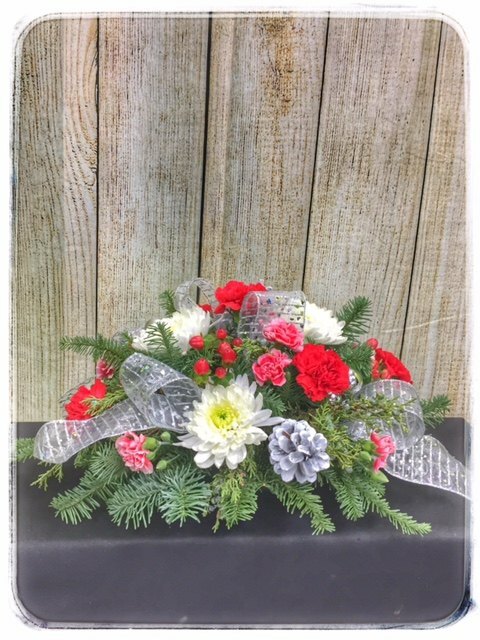 Red berries and pinecones add to the Christmas fun! A centerpiece is an important item of a display, usually on a dinner table setting. 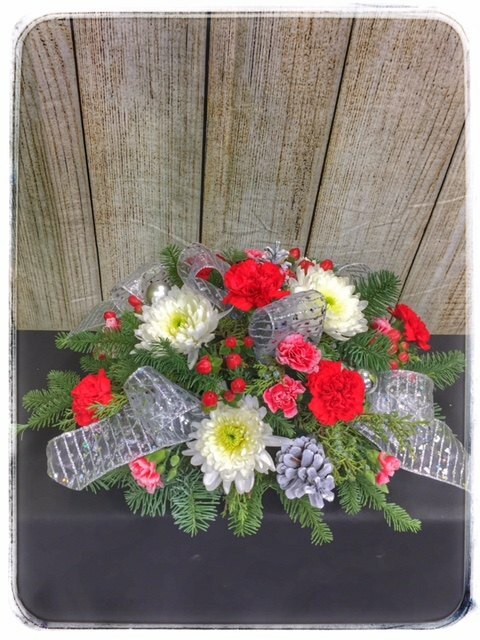 These arrangements set the theme of the holiday and bring extra decoration to the room. A centerpiece also refers to any central or important object in a collection of items. On the table, a centerpiece is a central object of decoration. Other centerpieces are often made from candles, fruit, or candy. Centerpieces are also a major part of the decoration for a wedding reception. 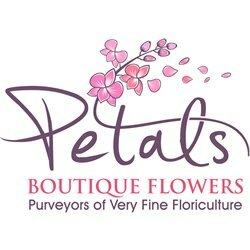 Additionally, weddings, baby showers, engagement parties, anniversary parties and birthdays often have some form of centerpiece. Formal functions in Europe can sometimes have very elaborate centerpieces, which can span the entire length of the table.